“A solid introduction to the world of investing for all investors regardless of risk preference and investing style. Covering the basics of ‘what is investment’ to the more advanced ‘how to value a company’, readers definitely will not walk away without gaining something. 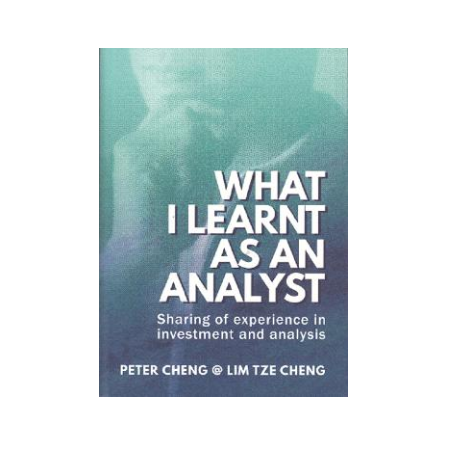 I highly recommend all to read this boo for successful investing in the stock market.” ~ Tan Sri Dato Seri Vincent Tan Chee Yioun Founder/Executive Chairman, Barjaya Corporation Bhd.